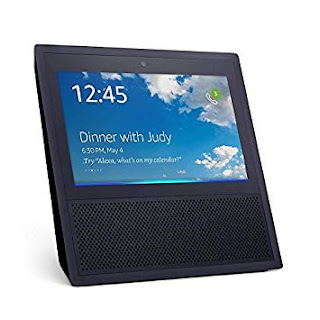 Head over to get the Echo Show for ONLY $129.99 (Retail $229.99)! Powerful, room-filling speakers with Dolby processing for crisp vocals and extended bass response. Play your music simultaneously across Echo devices with multi-room music (Bluetooth not supported). Adjust the treble, mid, and bass levels with your voice. Ask Alexa to show you the front door or monitor the baby's room with compatible cameras from Amazon and others. Turn on lights or the TV, set thermostats, control Amazon Video on Fire TV, and more with WeMo, Philips Hue, Sony, ecobee, and other compatible smart home devices.